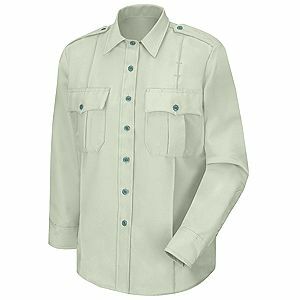 Our New Dimension® Shirts combine aggressive styling with performance features such as stretch poplin and twill fabrics and silicone permanent creases. Added length to sides helps to keep shirts tucked. 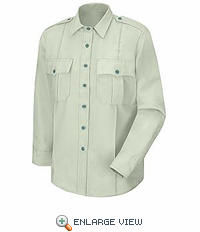 Due to the poly-cotton fabric blend, these shirts not only perform all year, but are extremely comfortable and easy to maintain. Fabric: 4.25 oz. Per Square Yard, 7.75 oz. Per Linear Yard, Stretch Poplin. * Added Length to Sides to Help Keep Shirt Tucked. * Designed to Accommodate Body Armor. * Mechanical Stretch for Increased Fit and Comfort.